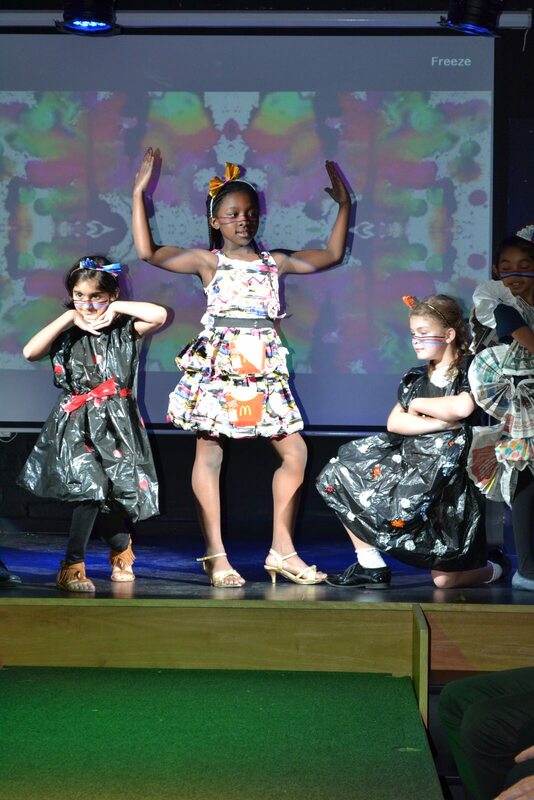 Budding Prep School designers rose to the challenge to create a selection of fashion garments made from every day materials and took to the catwalk this week to show them off! Hosted by very own fashionista Mrs Whitehouse parents were treated to a special ‘trashion’ catwalk show to rival Paris, New York and London. From big dresses to statement accessories the show epitomised everything about Hydesville – elegance, stylish and inspirational. A big well done to the Fashion Fix group, and pupils from Years 2 to 6. Even the teachers got in on the action when also they took to the catwalk to strike a pose!